Swarovski, known for their brilliant crystals and specialized jewelry, has created a 9 inch tall Minnie and Mickey Mouse statue covered in thousands of stones. 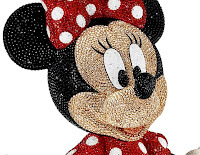 Using their exclusive Pointiage Technique, over 30,000 crystals decorate the statue of Minnie, who is wearing her signature polka-dot dress and bow. If you think your wallet can handle it, they sell for $8,900 each. Both will be a Limited Edition of 100 and comes with a COA and its own premium blue suitcase. 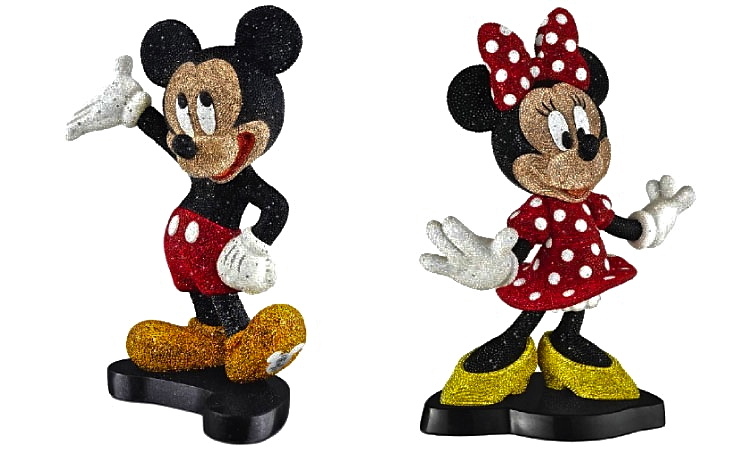 Swarovski hasn't only made super exclusive, super expensive merchandise such as these statues. 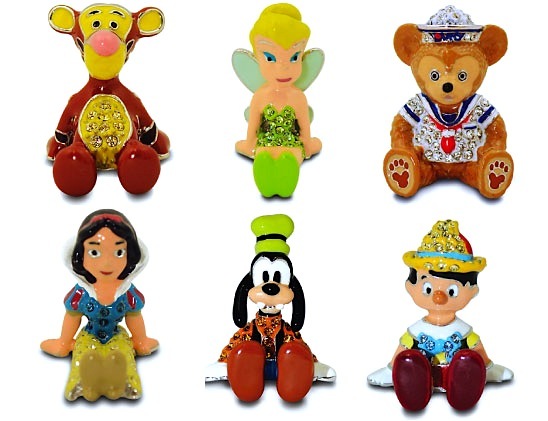 Arribas Brothers, known for their engraved glassware and jewelry, uses Swarovski crystals for its Disney line of figurines. To date, there have been several different characters in their collection from Mickey, to Woody, Tink and Stitch. Each statue is finished with colored enamel and set with a few, or hundreds, of stones. They offer high end statues, like the Genie and Ariel selling for $1,500, medium range figures like Pluto at $150 and Stitch at $450, and also mini figures selling for $40 each. The mini figures are less detailed and are quite tiny at only one inch tall, but it's a great idea that the company decided to go this route so anyone can own a statue. 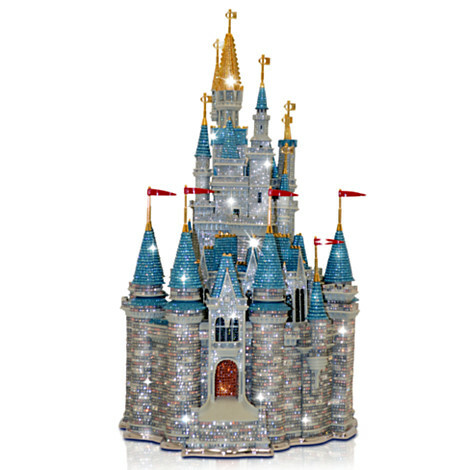 The mid range is around 3 inches tall and are sculpted with more details and have a much larger selection of inlaid crystals. The higher end statues are 6 inches tall, are normally limited editions and can have hundreds or thousands of stones. Naturally, my question is - where is Jessica Rabbit in this series? Jessica would make a fantastic statue in this line. The Swarovski crystals could cover her dress to make for a very striking and sparkling statue. I hope this is something they have considered and even though the price would be fairly high, I believe an Arribas Brothers statue of Jessica Rabbit with a Swarovski crystal dress would be very appealing. The have even gone so far as recreating the Cinderella castle - standing at 20 inches high, has over 25,000 hand set crystals, is a Limited Edition of 50 and even comes in it's own special metal case. If they can do that, they can do anything!